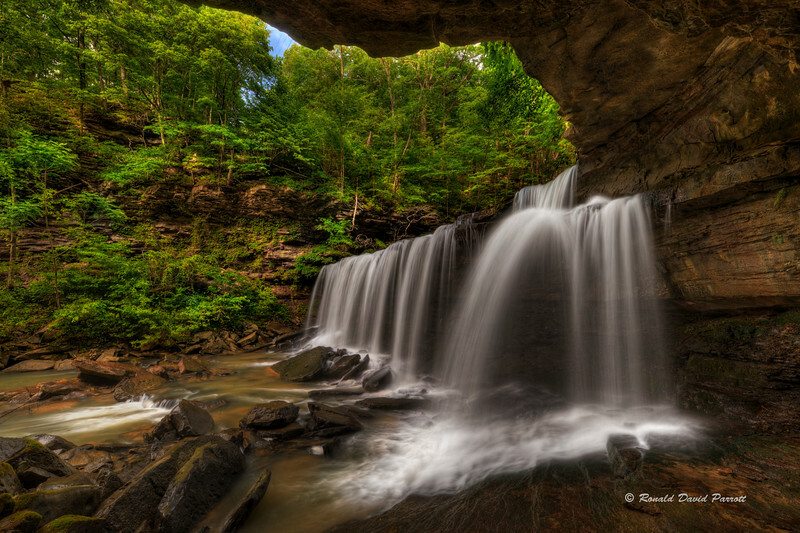 This is Meadow Creek Falls in Wayne County, Kentucky in late May. Another photo in this gallery shows the same waterfall from early in May. At that time the water level in Lake Cumberland was high enough to reach the base of the falls. The look of this waterfall can change drastically depending upon the lake level, the volume of water flowing in the creek, and the composition. That makes it a fun waterfall to visit and photograph.